With our latest face technologies, expanded grind offerings, and the most popular components used by Tour professionals, RTX 4 is the most tour-authentic wedge we've ever made. Get more spin with the sharpest Tour Zip Grooves we've ever made. Get more versatility with more grinds and less bounce. Get more feel with a compact shape, built for tour. With our latest face technologies, expanded grind offerings, and the most popular components used by Tour professionals, RTX 4 is the most tour-authentic wedge we&apos;ve ever made. Get more spin with the sharpest Tour Zip Grooves we&apos;ve ever made. Get more versatility with more grinds and less bounce. Get more feel with a compact shape, built for tour. Get more from your short game with RTX 4 Black Satin, now with new, more durable black PVD that provides a longer lasting low-glare finish. A dark coloring preferred by many, with the least amount of glare at address. Our new PVD process is ultra-durable for a longer lasting finish. Less glare and premium finishing provides the look and performance avid golfers demand. With our sharpest Tour Zip Grooves yet, the most aggressive face milling we&apos;ve developed, and even more precise laser milling, Rotex 4 generates more spin, and more consistent spin, giving you maximum short game control. 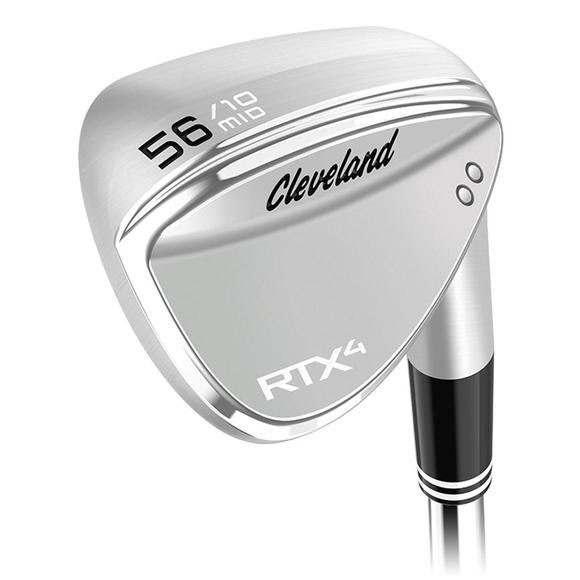 RTX 4&apos;s compact shape is a direct result of tour player feedback. Lower lofts blend with your irons for an easier transition, while higher lofts feature a traditional wedge shape for better greenside shots. New Muscle shaping on the back of each loft progressively adjusts the center of gravity on both the vertical and horizontal axes, enhancing feel and distance control, even when you don&apos;t strike the face center.